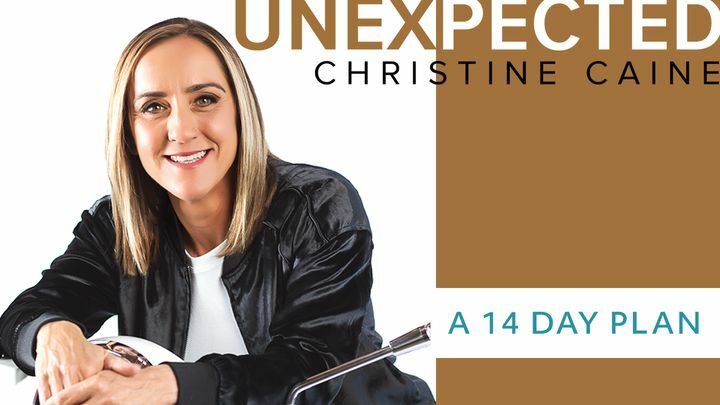 Unexpected - It's time to leave fear behind, move forward in faith, and embrace the adventure. Through this 14-day reading plan, you will strengthen your faith in a good God and learn to live in the joyful freedom of complete trust in Him even in the face of unexpected circumstances. It's time to leave fear behind, move forward in faith, and embrace the adventure. Through this 14-day reading plan, you will strengthen your faith in a good God and learn to live in the joyful freedom of complete trust in Him even in the face of unexpected circumstances.